toasterovenliving Surviving in NYC without an oven, I'm setting out to discover the art of toaster oven cooking. On a cold, polar vortex kind of night there is nothing like a hot, steaming, hearty meal. I also love meals that reheat well for lunches and dinners. 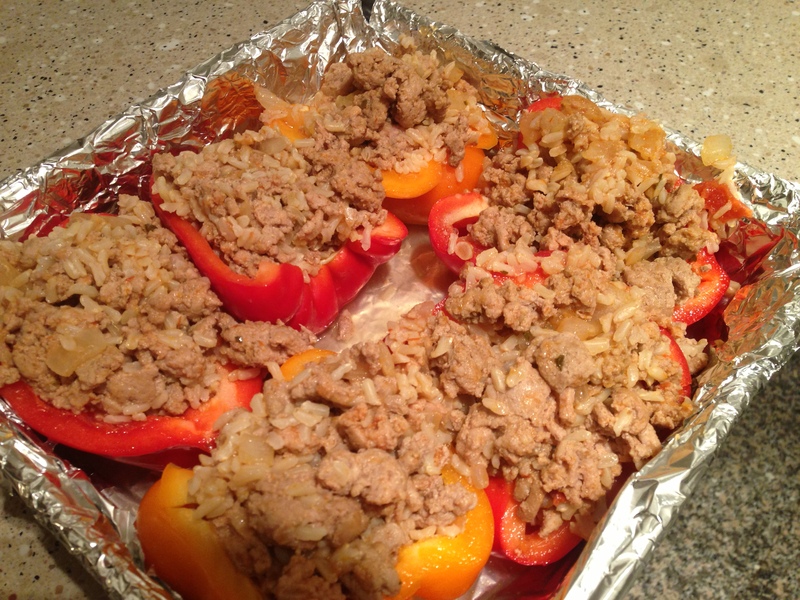 If you are cooking for 1 or 2, this stuffed pepper recipe will give you leftovers for a few days and is easy to take to work. 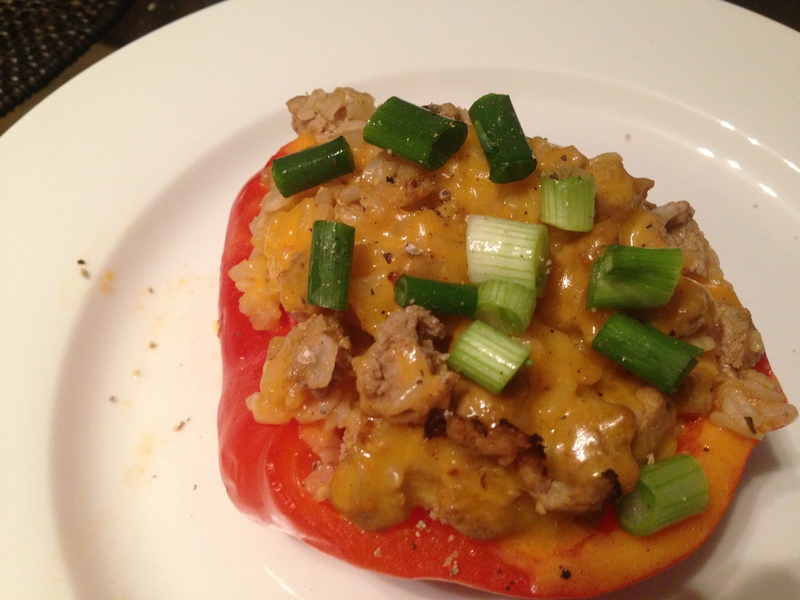 This recipe was inspired by a recipe on the blog skinnytaste, which means that it’s also very healthy and low calorie! For this recipe you will need a deeper, square baking dish that fits into your toaster oven. It’s lovely when served with a nice, light green salad on the side. TIP: If you want yours to have a little kick, add some diced jalepenos to the mixture. Preheat the toaster oven to 400 degrees. Heat a large sauté pan over medium heat. Add the olive oil and then add onion, garlic, and cilantro (optional) to the pan. Saute about 4 minutes, and then add the ground turkey. Season the meat with garlic powder, cumin, pepper, and salt and brown meat for several minutes until it is completely cooked through. It should be cooked through but not overcooked. Add the tomato sauce and 1/2 cup of chicken broth. Stir all ingredients and simmer for about 5 minutes on low. 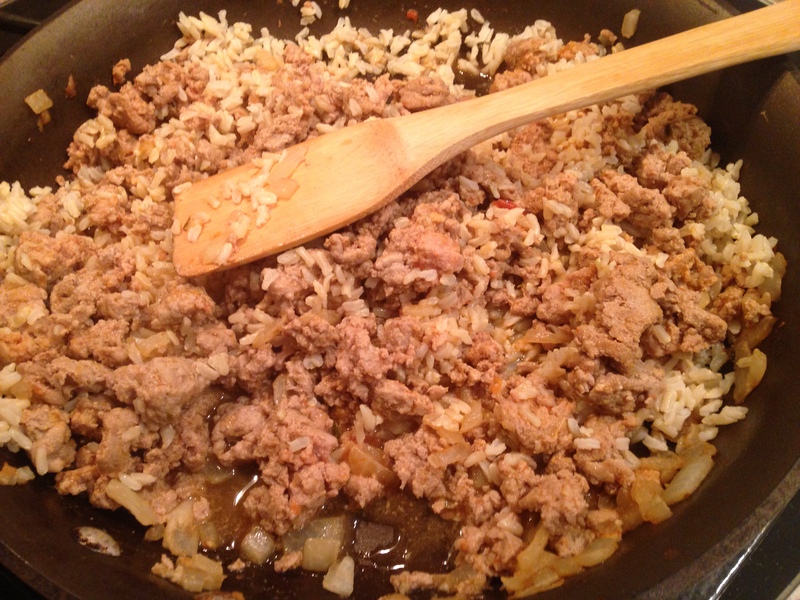 Add the brown rice and stir all ingredients together. 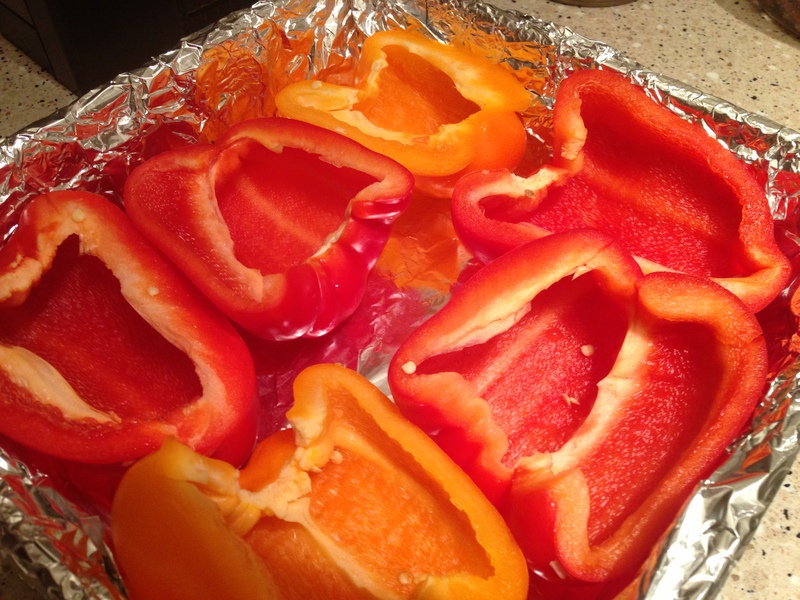 Cut the bell peppers in half lengthwise and remove all seeds. Cover the baking dish in aluminum foil. Place all bell peppers in the dish (you may have to squish them up against each other to get them all to fit). Spoon the meat mixture into each pepper half and fill as much as you can. Pour the remainder of the chicken broth on the bottom of the pan, evenly around the peppers. Cover tightly with aluminum foil and bake for 30 minutes. Remove and make sure that the peppers are soft and tender by poking with a fork. If cooked through, sprinkle the peppers with the cheddar cheese, re-cover, and bake for another 3 minutes, until cheese melts. If not cooked through, return to toaster oven for another 5 minutes. Top with green onions. Two and a half years ago, I moved into a cozy NYC apartment that had one big problem…it had no oven. I invested in a convection toaster oven and now I am living and loving toaster oven cooking. Friends and relatives are always shocked that I survive without an oven but the truth is, toaster ovens are a fabulous tool for preparing excellent meals for 1 or 2. I am not a professional chef, just a girl who is trying to get creative with a small cooking space.